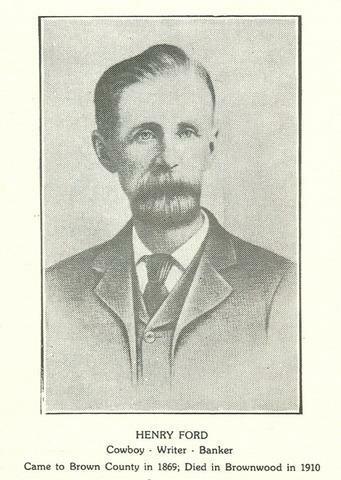 Brownwood's Henry Ford was probably Bill Anderson's closest friend and confidant during his time in Brown County, Texas. Henry Ford was KGC and died in 1910. Many old-timers believed he was really Jesse Woodson James. This belief was probably fueled by accounts that said that Zerelda Samuel was identified when she attended Ford's funeral in 1910 and the fact that Frank James came to town after Ford's death and warned citizens not to place a marker on his grave or else he would return and "blow it to Kingdom Come!"